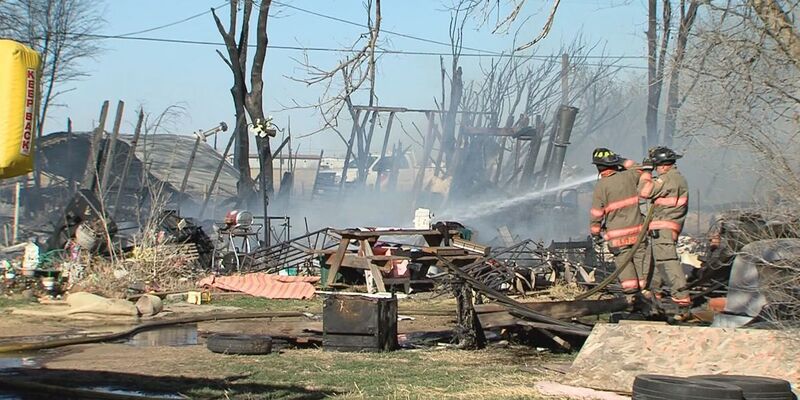 AMARILLO, TX (KFDA) - The threat of fire danger remains high through this weekend, and NewsChannel 10 wants to remind people that the many burn bans in place across the panhandle are there for a reason. 16 panhandle counties are under a burn ban right now. You can check here to see if your county is under a burn ban. This link is updated daily. Burn bans are not to be taken lightly. They prohibit the creation of any open flames outside. That means fire pits, campfires, uncovered grills and open burning of trash are all banned because of high fire danger. "[Accidentally starting a fire] is so easy to do, and it's so easy to forget that all you have to do is flick out a cigarette and you're done," said Potter County Judge Nancy Tanner, who just issued a burn ban that lasts through May 27th. If you violate a burn ban, that's a Class C Misdemeanor and you could be facing a fine of up to $500. "I would say it would probably lead to higher charges if something happened and someone was to die because of it, so it's pretty serious," said Tanner, adding it could become a felony charge if this was the case. "You ought to go by what the burn ban says. It clearly states no open flames anywhere." Firefighters and law enforcement in Potter and Randall counties try not to give out too many fines, but focus rather on education. "When we're under a burn ban and we have a violation, we go out and we try to educate the public and work with them and give them information," said Randall County Fire Chief James Amerson. "It's a matter of public safety to take the burn ban seriously. A fire can spread very fast and you can be held liable for some of the damage." When burn bans are lifted there's still always the possibility of starting a grass fire. "You don't burn after dark, you never leave a fire unattended, if you're welding you always have a spotter and a water source," said Amerson. "There's a lot of different things we can go over. But right now, no burning."